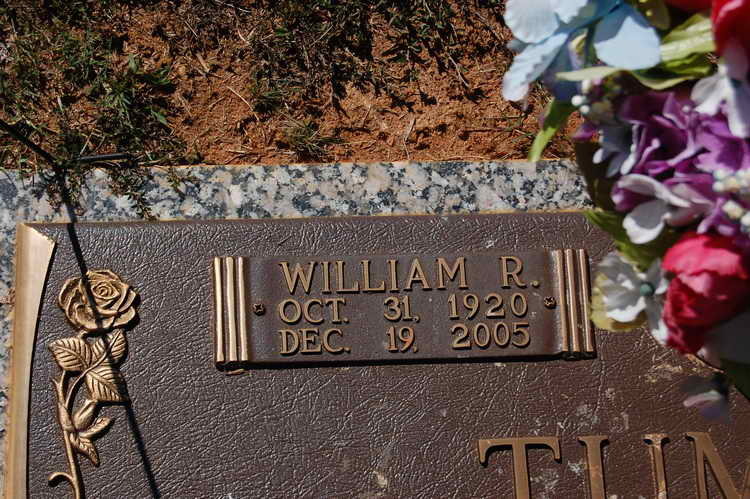 Mr. William Raymond Tumlin, age 85, of Buford died Dec. 19, 2005. He was preceded in death by his parents, Henry and Ellen Peace Tumlin; sister, Mildred Tumlin Biddy; and brothers, Dewey Tumlin and Donald Tumlin. He was survived by his wife of 59 years, Mary E. Jeter Tumlin; daughter, Kristy Tumlin Cantrell; son, William Jeter Tumlin and wife, Wanda; brothers, Louis Tumlin and Fred Tumlin and wife, Sadie; sisters, Doris Harbold and Carolyn Murphy and husband, Buster; grandchildren, Lance and Amy Cantrell, Tiffany and Jeff Stewart, Ann and Adam Zamaryka, William L. Tumlin, Stacy and Josh Strickland and William S. Tumlin; great-grandchildren, Jake and Allison Cantrell, Kailey and Trent Stewart, Austin, Alec and Abrey Zamaryka, Carrie and Jasmine Tumlin, Logan and Mikalah Strickland; a host of other relatives; honorary son and daughter-in-law, Leon and Carolyn Bagwell; and longtime employee and friend, Arnold Williams. He loved his family and work. He was the owner of Tumlin Battery for 45 years. He was a member of Gideons International for 45 years. He was a member of Oakwood Gospel Tabernacle. He was a volunteer for RYDC in Gainesville for 25-plus years. He loved to talk about Jesus wherever he went. He attended a lot of his 508, 82nd Airborne reunions. Josh Strickland, his grandson-in-law, also is in the 82nd Airborne. Members of the South Camp Gideons are asked to be honorary pallbearers. Funeral services will be held at 11 a.m. Thursday, Dec. 22, 2005, at Memorial Park South Chapel. Interment will be in Broadlawn Cemetery. The Rev. Gary Osteen will officiate. The family will receive friends from 2 to 4 p.m. and 7 to 9 p.m. Wednesday, Dec. 21, 2005. In lieu of flowers, contributions may be made to the South Camp Gideons, P.O. Box 603, Oakwood, GA 30566. 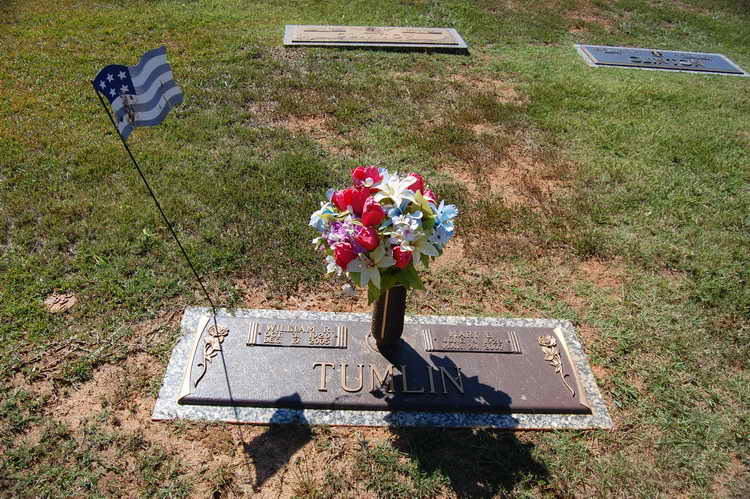 Grave marker for William R. Tumlin in the Broadlawn Memorial Gardens, Flowery Branch (Hall), GA.
"Bill" was a member of Company C sand jumped into Normandy on D-Day.